Prospective members and visitors are welcome at meetings held at 7 p.m. the first Thursday of the month, at the Mosier Library/Legion Hall. All Armed Forces veterans who want to “Continue to Serve” our community and nation are encouraged to contact us. 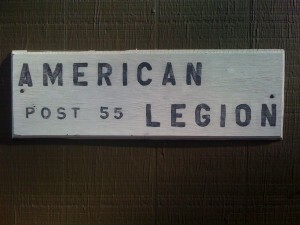 Since 1919, Mosier’s Post 55 is proud to support our community, our youth, and our local veterans. 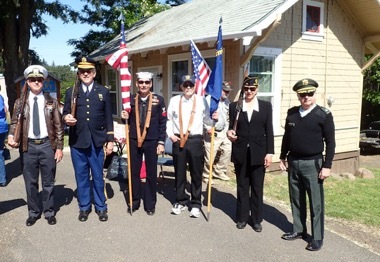 The Post has sponsored the annual Memorial Day Parade and town cemetery ceremony since 1940. Other projects include donating a public drinking fountain at the totem, installing an all access ramp at the cemetery, sponsoring a bicycle maintenance station at the Hub, providing a scholarship to the Mid-Columbia Community College, donating a fish aquarium to the Oregon Veteran’s home in The Dalles, supporting Mosier Community School, support of our local food bank, and of course, housing the Mosier Valley Library.